A warning about this ice cream- don’t make it if you’re not prepared to eat the entire batch in one sitting and feel sick afterwards. Don’t do it. Don’t even think about making this ice cream if you think this is the kind of dessert that sits in the freezer waiting for after dinner, or company. This ice cream isn’t the one. 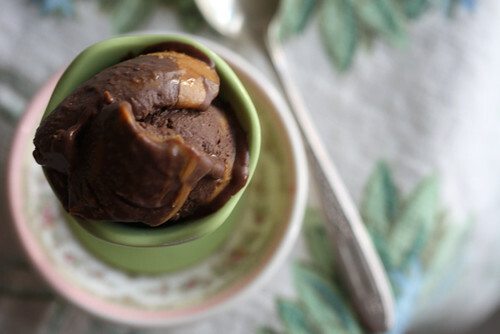 This Double Chocolate Peanut Butter Ice Cream is the kind of summer time dessert that you eat, sitting on your patio at sunset saying hello to your neighbors as they come home from work while you watch episodes of Big Love on your laptop. This is that dessert. If you’re trying to exercise self control, don’t make this ice cream. If you’re trying to set an example for your children about moderation, turn away now. BUT! If you’re looking for the most amazingly decadent, lick your finger, lick the spoon, lick the scoop, lick the bowl, go back for more and lick it all again ice cream. Well friends, this is the one. Peanut butter and chocolate. I’ve died and gone to heaven. It reminds me of being a kid and ordering a scoop at the local shop. It makes me so happy that I’m an adult and can have as many scoops as I like. This ice cream is proof that God loves us. Oh! On the savory side- check out this simple Caesar Salad I made. It’s over here! 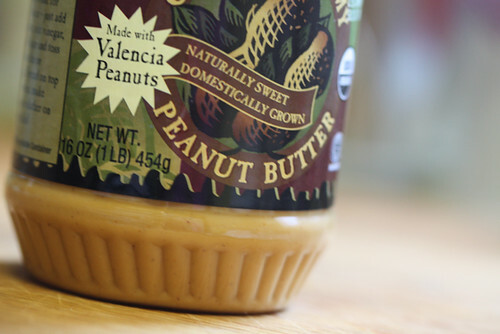 Transfer the ice cream into a freezer safe container and fold in the remaining 1/4 cup of peanut butter. Cover and freeze until solid. OH YUM!!! Wow! THIS is on my list of things to do! Beautiful job! Amazing recipe! I have made it several times and it has been fail proof for me! Thank you so much for this amazing recipe! Why, oh why, did I sell my ice cream machine?????????????? The reality is that my freezer is way to small for the canister (I’d have to give up real food to make space), but after seeing this recipe…it would be well worth it. When I was a teenager and had the munchies(! ), I would get the jar of peanut butter and vanilla ice cream and stand in front of the freezer taking a bit of the peanut butter and a swipe of ice cream. Everyone thought I was crazy – but hey, this was before Ben & Jerry’s started coming out with outrageous mixes. 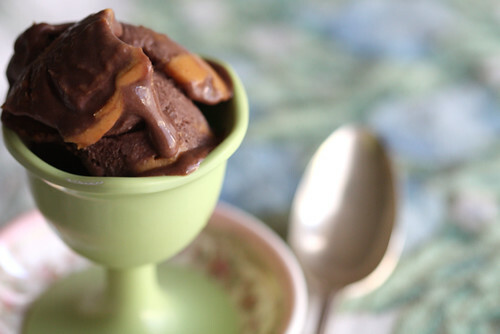 Chocolate and peanut butter – heaven on earth. geez–i will have dreams about this! I think I need an ice cream maker. Oh my!!! This is my favorite post of yours yet! I love it! Umm… I think I’m that way with ALL ice cream. It’s sort of a problem… Yours looks especially good though so maybe I’d just devour it in record time! I do believe I’ll be making it as well! Yes, Sarah, an ice cream maker has the potential to replace bad friends, bad boyfriends, and bad days. Its definitely a good thing! I knock my head against the monitor ! It’s true I can not leak the screen…it’s no good to tempt me like this ! oh my god…the picture alone has me wanting to lick my computer screen…chocolate and peanut butter HEAVEN…I must find the pieces that go to my ice cream machine! If I can’t find the pieces, I’ll BUY one! Oh, wow, this looks incredible! I think I could polish off the entire recipe’s worth in one sitting. Chocolate and peanut butter is my favorite dessert combination and this looks perfect. 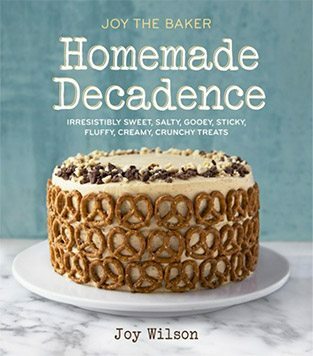 I am definitely bookmarking this to make soon! want to come to my house and bring this ice cream? we can be bestest friends forever?! seriously, this looks amazing. yet another reason why i need to buy an ice cream maker!